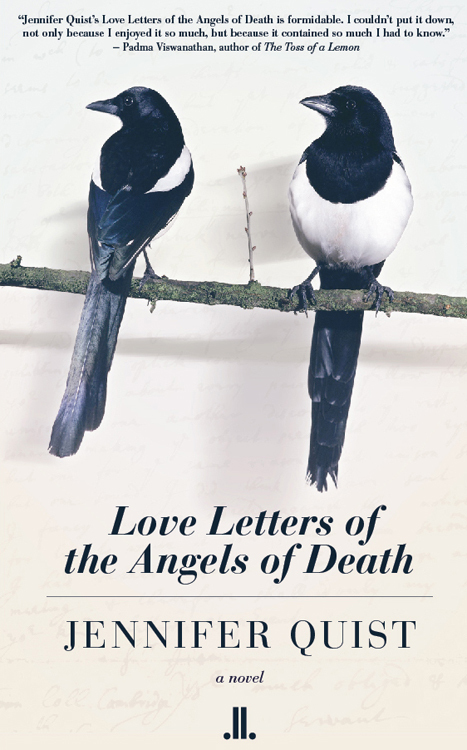 LL: Love Letters of the Angels of Death is an unusual novel in a several ways. First, the story is told almost entirely in the second person. Why did you choose this point of view? JQ: The book is written as a husband talking to his wife. I know this is risky and unfamiliar in the context of a novel. But most of the written communications we deal with in daily life – letters, emails, texts, most song lyrics – are written in the second person. It’s a very common and natural voice, maybe even the most common and natural voice. LL: The second risk you've taken in the book is writing from a male point of view. Why did you choose to write as the husband and instead of as the wife? JQ: Marital empathy is a central theme in the book. It’s one of the core inspirations for the book, too. Writing as the husband instead of as the partner in the marriage with the same gender as my own was a personal decision more than a political one. It’s not meant to be a stunt. It’s part of the storytelling. The fact is, the opening scene is based on a real experience my husband and I shared when his father died unexpectedly and alone. During that disaster, I coped with my own shock and grief by making my husband’s feelings and perceptions the only things that mattered to me. It was a desperate strategy meant to get both of us through the experience as undamaged as possible. I went back into that hyper-empathetic frame of mind to write the first chapter of the novel. I’d been there before. The rest of the book – the fiction – evolved out of that truth. LL: The most unusual choice of all might have been the one to write about a happy, high-functioning marriage. That's rare in literary fiction. JQ: You don't see that very often, and I think that’s unfortunate. Literature typically abhors a happy marriage. A happy marriage is dismissed as boring or cloying – candlelight and fancy nightgowns and corny dialogue. All of that would be alienating for readers. But I don't think Valentine's clichés are a fair or accurate depiction of how happy marriages truly function. There can be tension and conflict in the story of a happy marriage, but it’s rooted in the relationship’s greatest strengths, not in what’s broken. Marriages like this do exist – something I know from my own very lucky experience. They’re real, and they’re not without their own surprising complexities and difficulties. LL: So what is it that makes the relationship in the book a happy one? JQ: I’m not sure. The book certainly isn’t a marriage manual. Personally, I give terrible marriage advice. I’ve been married for eighteen years, and whenever anyone asks me what makes marriage work I say, “I have no idea. 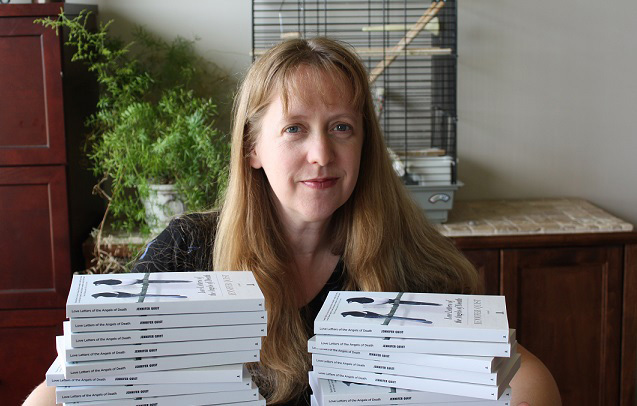 It just does.” In the book, however, I did write the marriage with a bit of rather hackneyed relationship advice in mind – the idea that we should each choose a partner who "lets you be yourself." I wanted the couple in the book to move beyond that. I wanted them to not just be themselves. I wanted them to be free to be each other when that's what they needed. This generosity and fluidity between the characters invokes something transcendent into ordinary marriage. It's a difficult idea, but I think it's true. LL: Death is what seems to propel the story along, yet the book’s tone isn’t particularly sad. What makes that possible? JQ: There are several deaths serving as plot points in the story, but the real story surrounding these deaths is about the resilience of the living. By unspoken agreement, most families understand that certain members will step forward and deal with the practical matters of death. The couple central to my novel fills this role in their families. Going through life knowing they could be called into action at any time affects everything else about their daily lives. But the reason they can handle death so well is that they know where the shadows are, have learned to work in and around them, and never go into them alone.